Every season my chic-finding sonar leads me to Heidi Merrick, an emerging LA-based designer (and avid surfer!). Simply put: she has mastered the art of casual-cool dressing, LA-style. 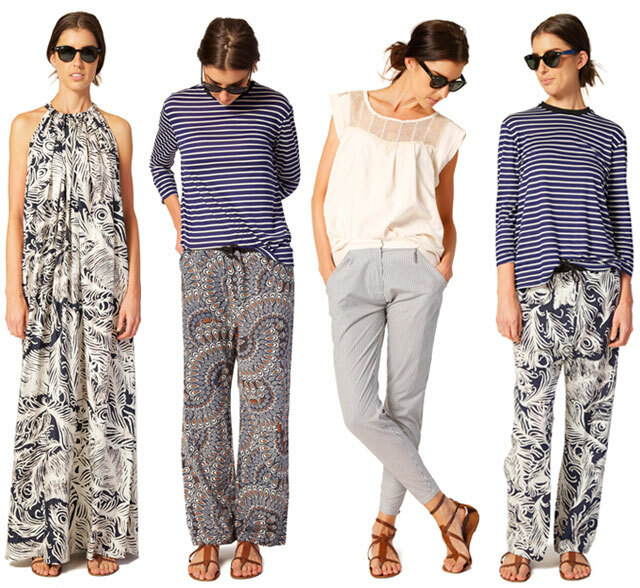 Everything in her current collection, rife with mix and match graphic prints and languid, easy, summer-ready silhouettes, is fit for flitting around from Silver Lake to Malibu--and beyond (like a Hampton or two!). My favorites include this relaxed paisley print top, this gorgeous lace-trimmed (throw-it-over-a-bikini) shirt, and this flowy maxi dress. You can check it all out here (and get 20% off any purchase by using code HM20 at checkout). While you're there, be sure to take a look at her upcoming fall collection. I am sure you will have the hots for it, just like me! HI. the discount code for heidi merrick is invalid? i would love to buy a few things that you posted yesterday. would you mind looking in to this? I believe the correct code is HMSUMMER in all caps. The code HM20 works now. And the code HMSUMMER is also valid for 20% discount.